William Joseph Barre of Newry and Belfast was a member of Union Masonic Lodge No. 23 Newry, and a prolific Irish architect who built many well known buildings in Belfast in a Gothic Revival style, but was always overshadowed by his great rival, Charles Lanyon. William Joseph Barre joined Lodge 23, Newry on the 24th March 1851 from Lodge 697 Warrenpoint. He was Worshipful Master in 1853 and 1855; Lodge Secretary in 1857 and 1858 and on the return of members to DUblin in 1863 he is listed as an Honorary Member. He later went on to join Lodge 154 in Belfast. William Barre was born in Newry in 1830 and, after working for a builder in Newry, was articled to Thomas Duff at the age of seventeen. On Duff's death in 1848, he went to Dublin to complete his training with Edward Gribbon. He returned to Newry at the end of 1850 and opened his own office at 2 Marcus Square, Newry. In 1860 he moved his office to Belfast at 2 Clarence Place, Belfast, after winning the competition for the Ulster Hall in that city the previous year; this was one of the many architectural competitions in which he participated throughout his career. His Belfast practice flourished but was short-lived; in August 1865 he caught a cold as the result of walking about in wet grass while measuring the site for a villa near Downpatrick. A persistent sore throat was followed by the loss of his voice and the gradual onset of consumption. 'It was evident', Durham Dunlop observed in his Memoir of …William J. Barre (1868), 'that he possessed the bodily organization, mental endowments, and sensitive susceptibilities which are usually taken to indicate a phthisical tendency latent in the constitution'. In November 1866 Barre left Belfast to winter at Menton, France. He returned to Belfast the following March. 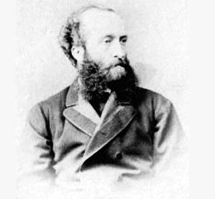 A visit to Dr Barter's hydropathic establishment at Cork in July brought temporary relief, but he continued to weaken and died at his house in Fisherwick Place, Belfast on 23 September 1867 at the age of 37. He had completed several dozen major buildings, including private houses, schools, factories, and, above all, churches. He was buried in the graveyard of St Patrick's Church, Newry. He was unmarried, but was survived by a widowed mother. Barre had a colourful history when it came to architectural competitions. By the time he was thirty he had beaten numerous rivals to win the task of designing the Ulster Hall. His design for the Methodist Church on University Road (originally the Wesleyan Church, on what was then Botanic Road) took first place in a competition of 1864, the work being completed the following year. But he had not been so lucky in the competition, a few years earlier, to design what is now known as Scrabo Tower, the landmark building overlooking Newtownards. Although his design for the monument to Lord Londonderry took first place, the decision was overturned on grounds of cost, the commission instead going to Charles Lanyon, whose design had come second to Barre's. Lanyon, was County Surveyor at the time. History came close to repeating itself in 1865: the Selection Committee charged with choosing a design for the monument to Prince Albert picked Barre's clock; the General Committee, of which Lanyon was a member, chose to overrule in favour of Lanyon's design. This time, however, public outcry was sufficient to restore the original decision, leaving us with Belfast's best known, if somewhat skewed (it is out by over a metre at the top), clock tower. Barre built several other monuments, perhaps the most unusual being that to the Banbridge-born arctic explorer Francis Crozier, featuring polar bears poised on top of flying buttresses. He entered the competition to build Freemasons' Hall, 17-18 Molesworth Street, Dublin but was unsuccessful. He used the motto "We'll see"; as applicants could not use their own name when tendering.